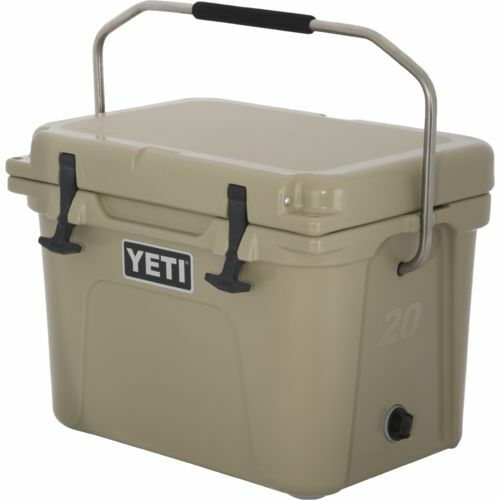 YETI coolers are all the rage these days, and have been for a while. 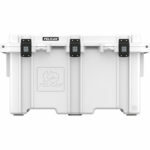 These premium roto-molded coolers are great in a lot of ways: they look great, they perform excellently and they’re virtually indestructible. The thing is, they are extremely expensive. 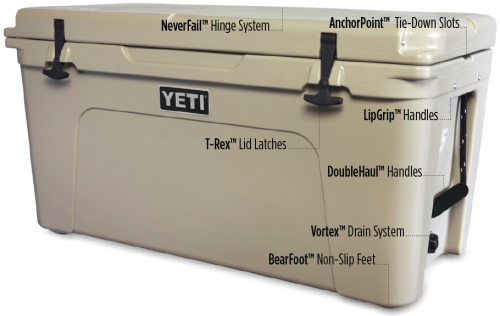 YETI’s, for example, can cost you anywhere between $300-$600. But what if we told you that there was a (much) cheaper alternative, that provided comparable ice retention at a fraction of the cost? Well, it’s actually possible. 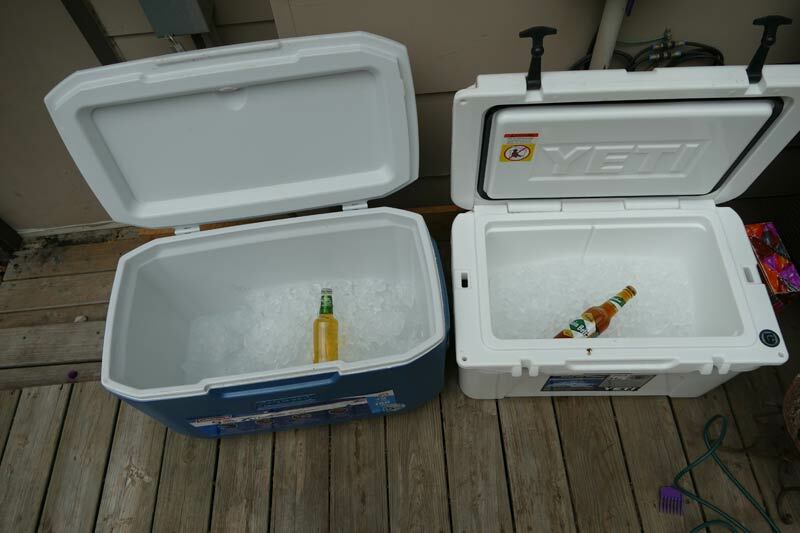 Today, we are comparing two very different ice boxes, the Coleman Xtreme cooler, and a YETI Tundra cooler. Let’s see how these two stack up. 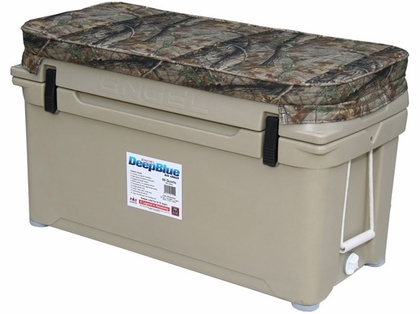 without seals, making their coolers virtually indestructible. The lid has a long interlocking hinge that won’t break easily. The rubber lid gasket helps to seal in the cold air, and the marine grade rope handles won’t degrade anytime soon. 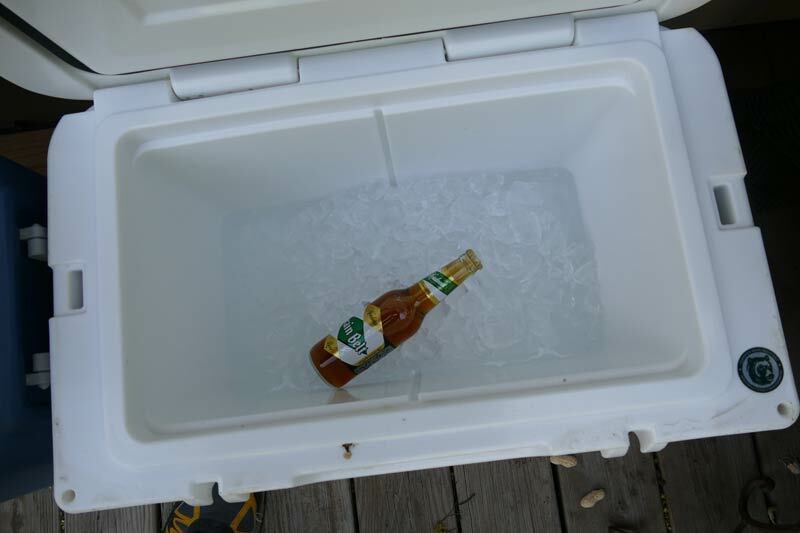 The corner of the cooler has a spot you are able to lock the lid down with a padlock, making it bear-proof as well. 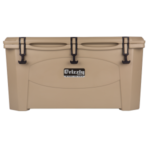 In other words, their coolers are loaded with great features and available in various sizes, but they do come at a premium. 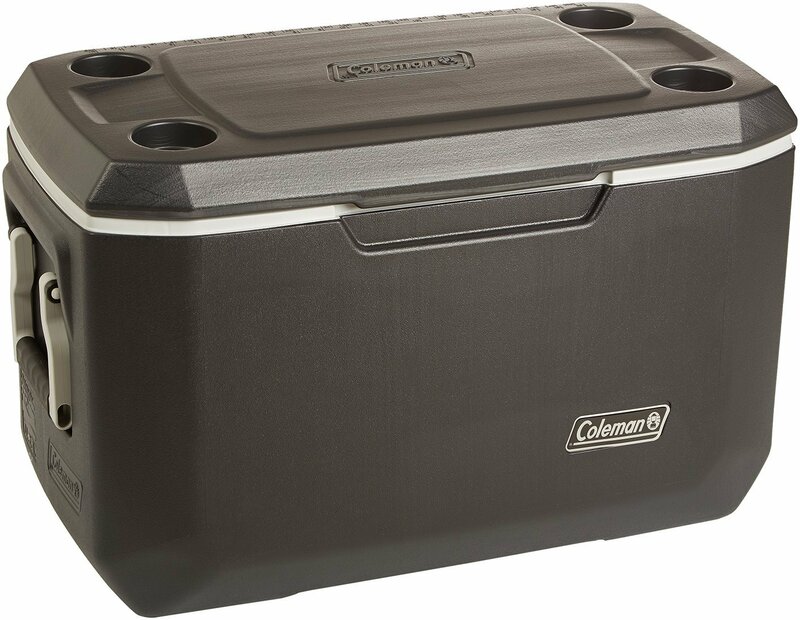 The Coleman Xtreme cooler by comparison, is probably more reminiscent of what you imagine when you think of a cooler. The plastic is much thinner than the YETI, the lid is attached by two more flimsy hinges. 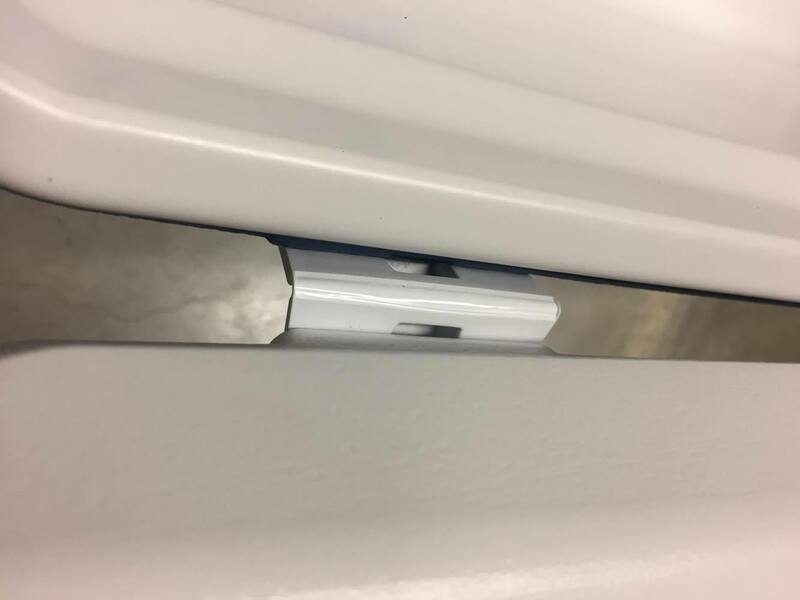 The handles aren’t attached as confidently as we would like either, and you may need to be careful when carrying it with a full load to avoid too much strain on the connections. 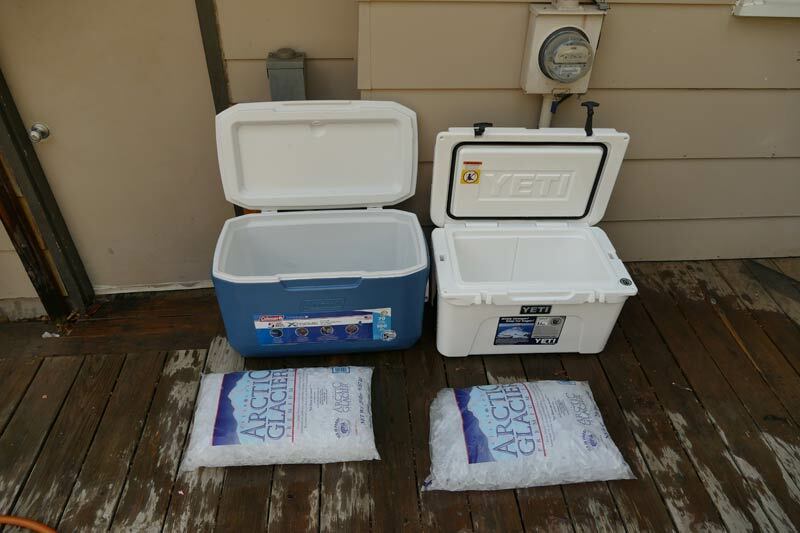 Now, to what really matters: how well do these coolers actually hold ice? Firstly, we will outline the conditions that the coolers were tested in. 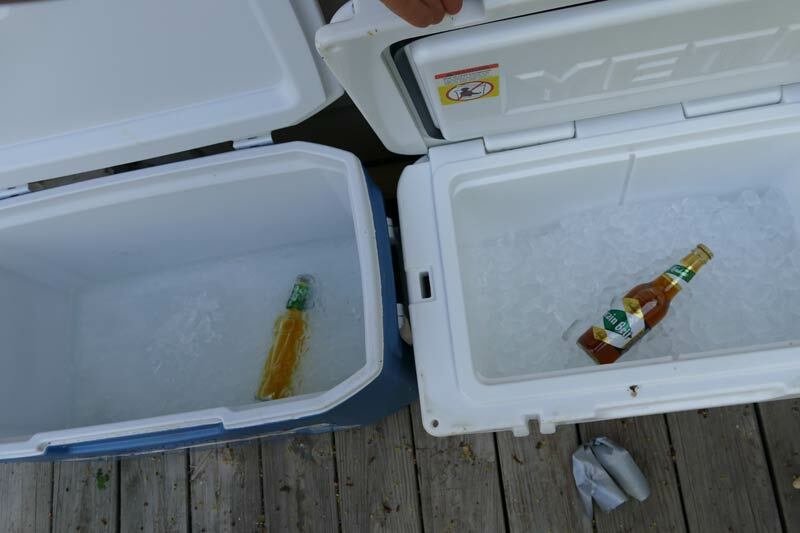 So, under these conditions, the Coleman Xtreme cooler actually held its own against the YETI. 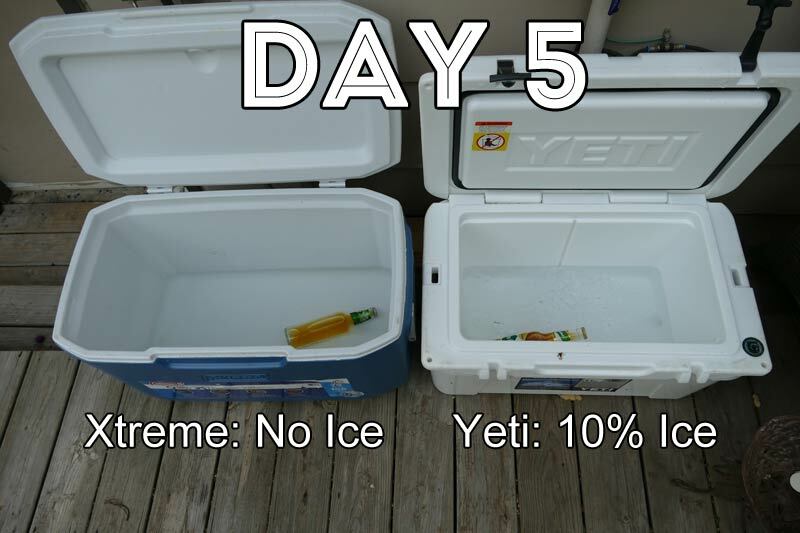 After 5 days, the Coleman had no ice, while the YETI had about 10% of the ice left. 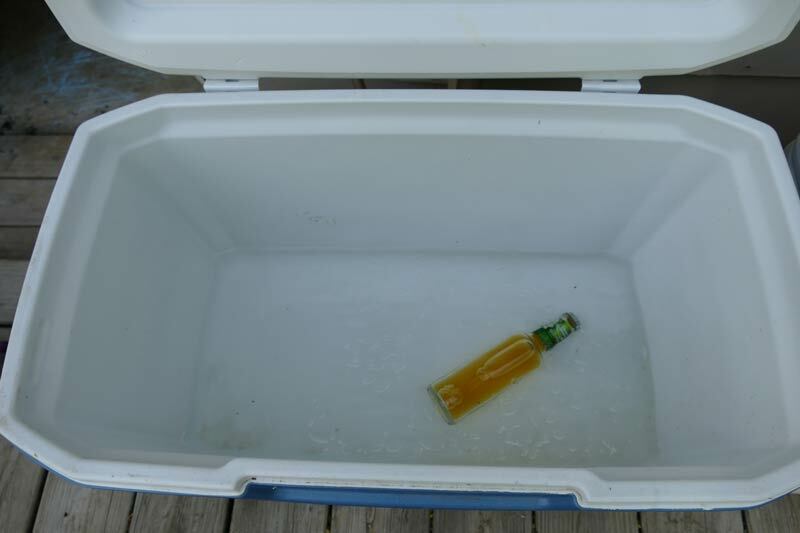 It’s important to note that neither cooler was pre-cooled, nor filled to the top with ice. Were they pre-cooled, we would have expected to get much more ice out of both, but especially out of the YETI since the thick insulation really traps heat and cold. Despite the flaws in the experimental design of this test, there is an important conclusion here: that the Coleman Xtreme actually holds its own against a YETI. 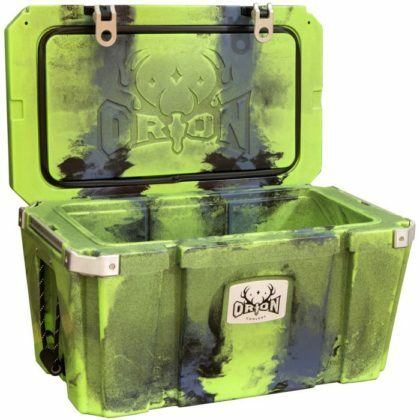 So which cooler should you get? Well they’re a good for different things. and it depends on what you will be using it for. The Coleman costs a fraction of the price, won’t be as big a target for theft, and isn’t nearly as heavy. 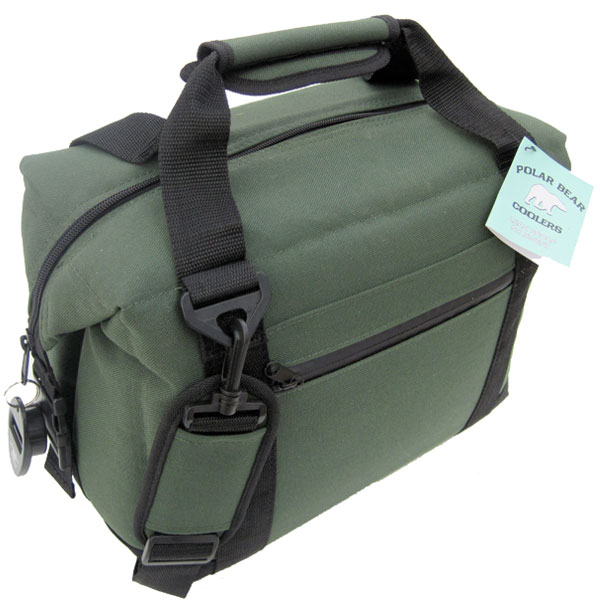 It’s a great cooler for families shopping on a budget, for beach trips, car-camping and parties and BBQs. 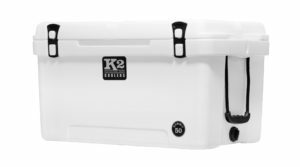 Despite the price, a YETI still is the king at holding ice, is bear-proof and nearly indestructible. It’s great for fishing, camping, longer overnight trips, as well as all the other family activities. 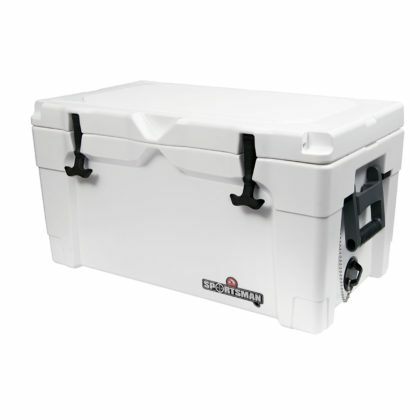 We can see how well it stacks up against a yeti, but where does it stand on the entire cooler market? 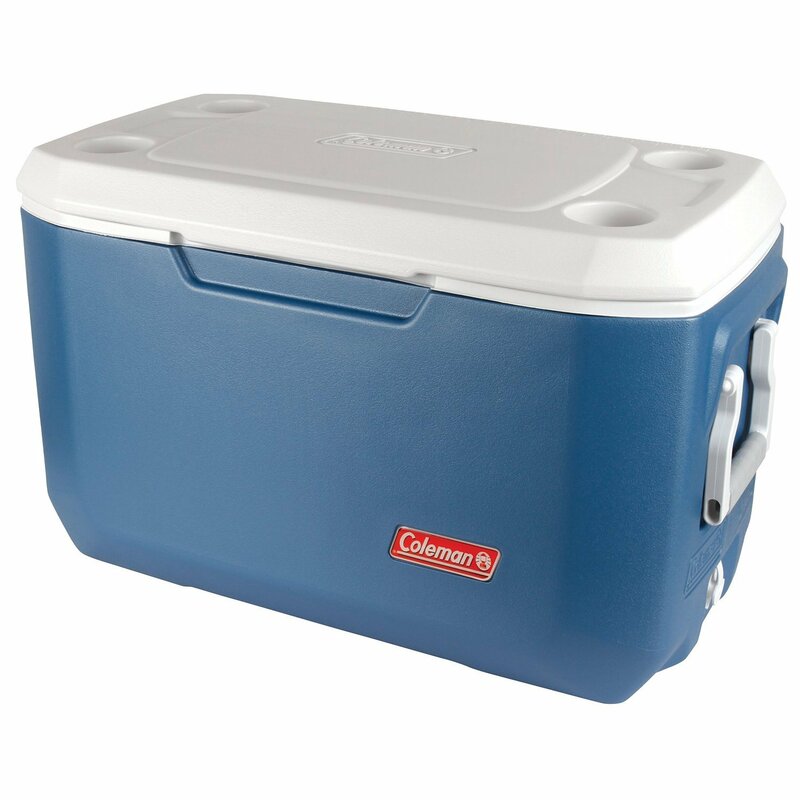 Click the link below to check out our guide to the best coolers of 2018 to see how Coleman compares.